Valentine’s Day has never worked for me. I don’t dislike it, but I don’t embrace it either. My ambivalence goes back to grade school. Back in the less structured days of elementary education (before accountability, weekly assessments and league tables), we celebrated Valentine’s Day by making construction paper folders to hold the cards given to us by our classmates. School policy was clear: every student would receive a valentine from every classmate. This made valentine giving very difficult. I did not want to give a valentine to the boy who picked his nose and ate it only when he was sure that I was watching. Nor did I want to give a valentine to the classroom bully. And I especially did not want to give a valentine to Linda White, the smartest girl in class who wore flouncy store-bought dresses and had a mother who lovingly styled Linda’s hair in ringlets. Linda already had everything! Why should I with my homemade dress and bad haircut give her more than she already had? My mother was frugal, and so the money that she gave me to buy valentines was not enough for my silver spoon tastes. I disliked my valentines even before I bought them. Once home, I would separate them into piles: good, less-good, and the awful. 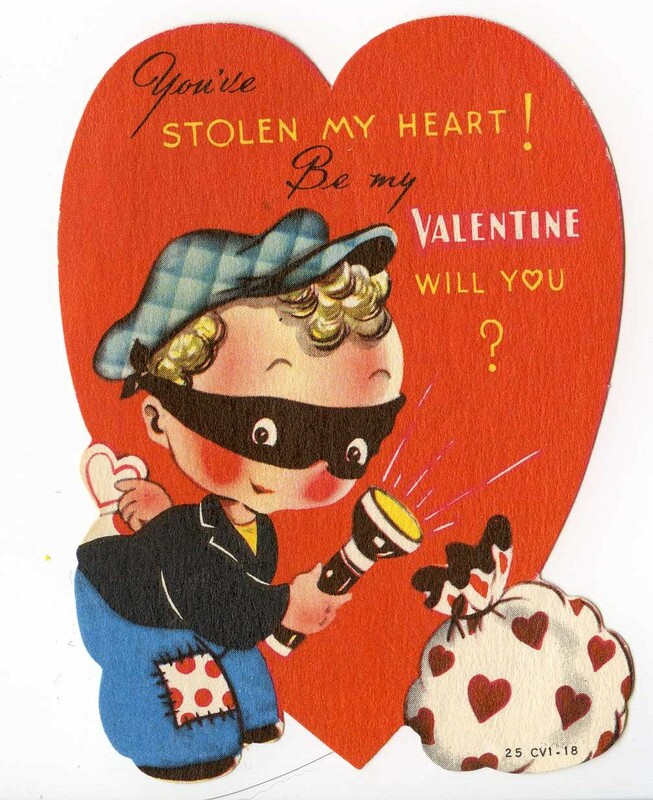 Clearly, the awful valentines went to the nose-picker, the bully, and the class dummies. The less-good went to classmates with whom I did not want to encourage friendship. And the good went… I don’t have to tell you; you know where the good went. The well-intended policy had unintended consequences: the pecking order was under-scored in red. My folder of valentines, full of second and third tier cards, did nothing to make me celebrate the holiday. I haven’t gotten past these childhood slights, and I feel better just letting the holiday slide. A few years back I was leading a writers’ workshop. The date was Valentine’s Day. I do not remember the lesson, but the prompt had something to do with love. What I do remember was an elderly, irritated maiden interrupting to challenge me. She confessed to never having an intimate relationship and said that it would be impossible for her to write about love. Once I recovered my senses (I think there was a moment when my jaw dropped and my mind ceased to function), I suggested that we needed to brainstorm possible love relationships that went beyond those of a sexual nature. Moving beyond June and moon, we listed dozens of loves to include a love of books, pets, and parents. The list was endless. If we could just think of love in a larger context, the disappointment inherent in Valentine’s Day and failed or non-existing relationships would fade. In southern France live two old horses, / High in the foothills, not even French, / But English, retired steeplechasers / Brought across to accept an old age / Of ambling together in the Pyrenees. 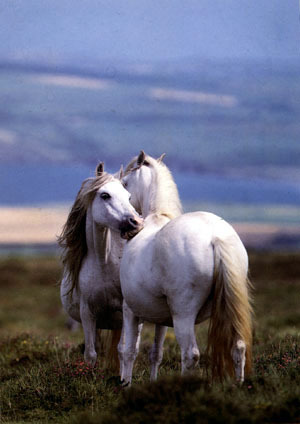 / At times they whinny and kick / At one another with impatience, / But they have grown to love each other. Another favorite all-encompassing love poem is “This is what you shall do” by Walt Whitman. Because Whitman’s work is now in the public domain, I am free to use his preface to Leaves of Grass: This is what you shall do; Love the earth and sun and the animals, despise riches, give alms to every one that asks, stand up for the stupid and crazy, devote your income and labor to others, hate tyrants, argue not concerning God, have patience and indulgence toward people, take off your hat to nothing known or unknown or to any man or number of men, go freely with powerful uneducated persons and with the young and with the mothers of families, read these leaves in the open air every season of every year of your life, re-examine all you have been told at school or church or in any book, dismiss whatever insults your own soul, and your very flesh shall be in a great poem and have the richest fluency not only in its words, but in the silent lines of its lips and face and between the lashes of your eyes and in every motion and joint of your body. In keeping with the topic, brainstorm the many forms of love. Choose one form, and write a love poem to that subject. If you happen to have two pets who are inseparable, follow in the steps of Paul Zimmer and write about their relationship. Research the history of St. Valentine and use that background to write a historical fiction piece. This entry was posted in Uncategorized and tagged "This is what you shall do", Leaves of Grass, Paul Zimmer, Walt Whitman, writers' prompts. Bookmark the permalink.